Compile Excel workbook to EXE file. Excel to EXE compiler. Compile Excel workbook to EXE file. Excel to EXE compiler. You need to have the Microsoft Windows XP SP3 or higher as well as Microsoft Office 2003 or higher with the latest service pack and updates installed on your computer. Please make sure that Microsoft Office Visual Basic for Application (VBA) component is selected in your MS Office installation. To verify that you need to open Microsoft Excel and click Alt+F11 key combination. If the VBA Project is opened that means you have Visual Basic for Application (VBA) in your Excel installation. 1. 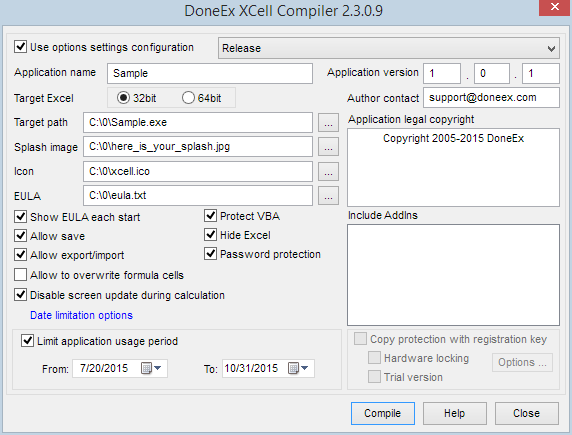 Download the DoneEx XCell Compiler and install it on your computer. Detailed instruction how to download and install the product you may find in video above. 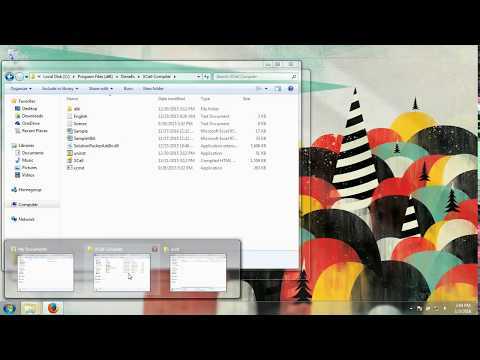 Open Excel from Windows Start Menu shortcut and load your Excel spreadsheet by using the Excel File Open menu, or just Drag-and-Drop your workbook on to the Excel window. 3. Find DoneEx menu at Excel main menu. 4. Fill out the compilation form with your data and preferred options, then click on the “Compile” button. 5. When compilation is completed, close Excel, and run the EXE file. You may find the compiled EXE file at the location that you have chosen in the “Target Path” field on the compilation form. The workbook is secured now. You can send the compiled application to your client with peace of mind.